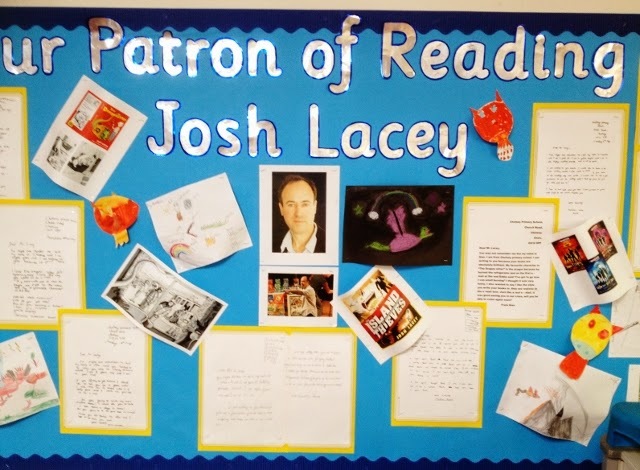 I’m very pleased that the staff and pupils of Cholsey Primary School have asked me to be their Patron of Reading for the next three years. I’m going to visiting the school tomorrow, talking to classes, seeing the library, talking about my books and hearing about the books that Cholseyites love. I’ve been to the school once before. After that, I was sent some letters from the pupils to forward to Uncle Morton. I’m afraid he took several weeks to reply, but he is very busy at the moment. I was also sent this picture of a fantastic display that the children have created. Was football taken to Brazil by an Englishman or a Scotsman? I’ve noticed a few mentions of Charles Miller in the run-up to the World Cup, mostly in arguments about whether football was introduced to Brazil by an Englishman or a Scotsman. I get emails every now and then from strangers, asking the same question. What was Charles Miller’s nationality? Was he English or Scottish? I don’t think my answer satisfies nationalists of any persuasion: I always say that he was British. As for the other question that strangers often email me to ask – was Miller really the first man to play football in Brazil, or should Thomas Donohue get the credit? – my answer must be equally unsatisfying: I don’t think it really matters. The first Brazilian footballer probably wasn’t either of them, since I’m sure some sailors on a British boat would have brought a football – or even an apple or a rolled-up ball of paper – and played a quick game on the quayside at Santos or some other port along the coast even earlier in the 19th century. For me, the most interesting thing about Charlie Miller is his place at the heart of the British community in Brazil, and the way that community has, just like football, been absorbed into the country and utterly transformed. Posted on June 13, 2014 August 17, 2015 Categories God is BrazilianTags BrazilLeave a comment on Was football taken to Brazil by an Englishman or a Scotsman?